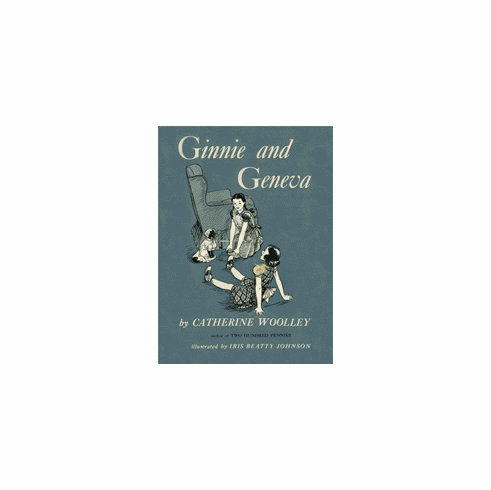 The Ginnie Fellows Introductory Set - Great for Younger Readers ages 7 to 10. Ginnie and Geneva. Ginnie has not gone to school as early as other children, but because of her mother's lessons, she is ready for the fourth grade. Although she has looked forward to school eagerly, it is a disappointment at first, for Ginnie has never played games or roller skated or had any practice in making friends with boys and girls. Geneva Porter, the most confident and popular girl in the class, bothers Ginnie most of all, as Geneva loves to tease. But Ginnie, who finds it hard to defend herself, has no trouble at all in standing up for her new friend. This is a warm and understanding story of children learning to get along with each other and having a wonderful time as they do! Ginnie Joins In. It sometimes seems to Ginnie that the other girls are prettier or smarter or more sure of themselves than she is. She is enchanted at the prospect of spending a summer at the lake, but when she gets there she discovers there is one thing that stands between her and complete enjoyment: she doesn't know how to swim! With even the smallest children swimming or jumping fearlessly off the float, Ginnie feels that her feeble efforts make her conspicuous. But Ginnie's practice and determination help her find her way among her friends. At last Ginnie finds out how much fun she can have when she learns to accept herself and even laugh at herself. Ginnie and the New Girl. Ginnie and Geneva are best friends - they walk to and from school together every day and play together every afternoon. Geneva's companionship means a great deal to the less self-confident Ginnie - until the new girl comes. Then all Geneva's time and interest seems to be devoted to Marcia, and Ginnie feels lonely and hurt. At first she is miserable, but gradually she develops other resources. Ginnie finds out what happens when she seeks her own solutions to her problems. Ginnie and the Mystery House. When it is time to take down the Christmas tree, Ginnie thinks of the long, gloomy winter ahead - nothing to look forward to, nothing to do. But that is not at all the way the winter turns out. The excitement begins when Ginnie first helps the strange old lady with her bundles and realizes that she is desperately afraid of something. Before long, Ginnie is a little frightened herself, and mystified, too, because she discovers that the old lady lives in a forbidding shuttered house where footsteps can be heard in the attic and someone, or something, wails in the night! The weeks go by, with snowstorms and sleigh rides and parties, but still the dark house refuses to yield its secret. And Ginnie and her friends will not be content until at last they solve the mystery.